Men's Connected Warriors cotton T-Shirts in black. The t-shirt features a small Connected Warriors logo on the front right chest area and a large Connected Warriors logo on the back. 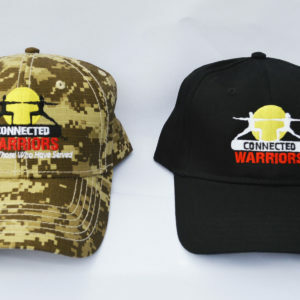 The purchase of this t-shirt provides support to the Connected Warriors organization, giving our team the ability to have a further reach to offer more classes in more areas. Thank you for your support.